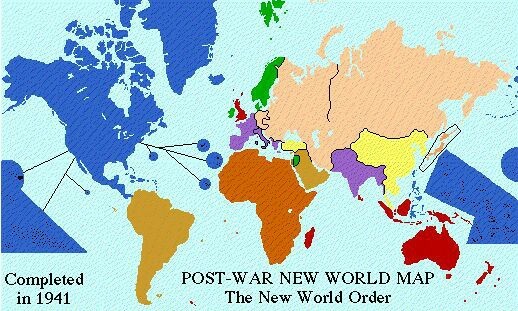 A new world order for permanent peace and freedom will be established at the end of the War. The U.S.A. must, altruistically, assume the leadership of the newly established world order. The U.S.A., Britain, and the U.S.S.R. will undertake to guarantee peace to the nations, which will be permanently disarmed and demilitarized. The U.S.A. will become invincible as a military, naval, and air power. The U.S.S.R. will acquire the republics of Eastern Europe after the War. There will be a demilitarized, federated United States of Europe. 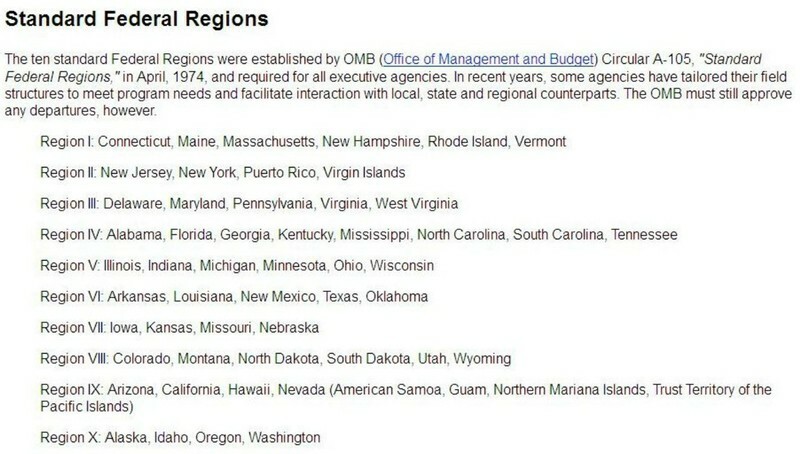 Canada, Mexico, Central America, and the Caribbean islands will be incorporated into the United States of America. The land of the ancient Hebrews, known as Palestine and Trans-Jordan, will be united as a demilitarized republic called Hebrewland. All natural resources will be nationalized and distributed to all nations. Banking, investments, railroads, and power plants will be nationalized everywhere. A world common monetary system will be established. The unified "Supreme War Council of the United Nations" will be reorganized and transformed into a "Supreme Military and Economic Council" to assist in reconstruction and to enforce world peace. The dimensions: of the map are nearly 36 inches by 25 inches. 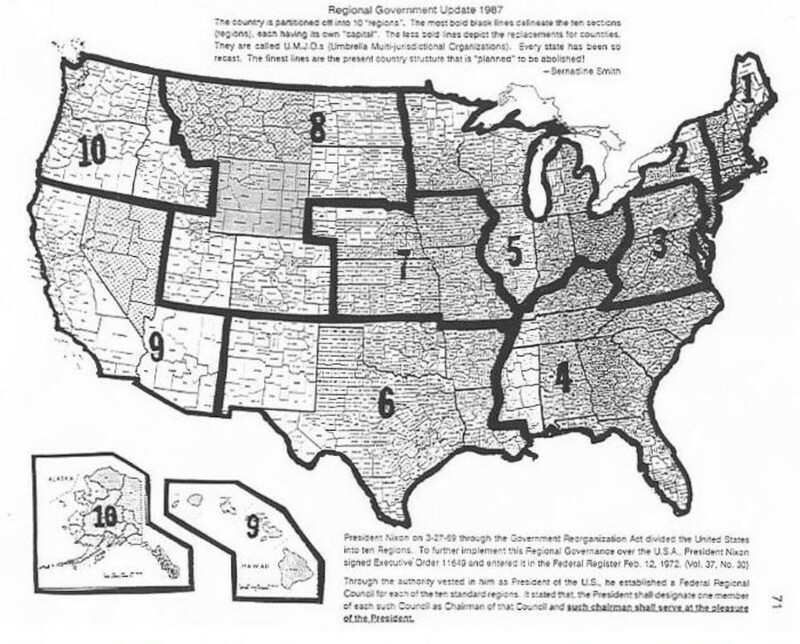 President Nixon, on 3-27-96, through the Government Reorganization Act, divided the United States in to ten Regions. "These blocs, however strong or weak, are growing all around the world. Like the empires that preceded them, the regional trading blocs of the new economic world order may divide into a handful of protectionist superstates. If by the new political world order we mean increased American hegemony disguised as international cooperation, we may come to know the new economic world order as regional hegemony disguised as free trade." These blocs are the 10 global economic regions that are mentioned in the King James Bible. Notice that it says that the kingdoms do not exist yet and when they do exist, they last for only ONE hour. The Bible uses ONE day to represent ONE year in prophecy. One hour is a very short time. 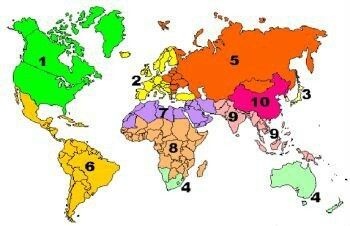 The photo below shows the planned 10 regions. It may look different when it happens, but this is what has been considered by the New World Order.